The Luca Bunk Bed is a practical addition to your child's room or guest suite, allowing you to conserve precious floor space for play-time or storage. 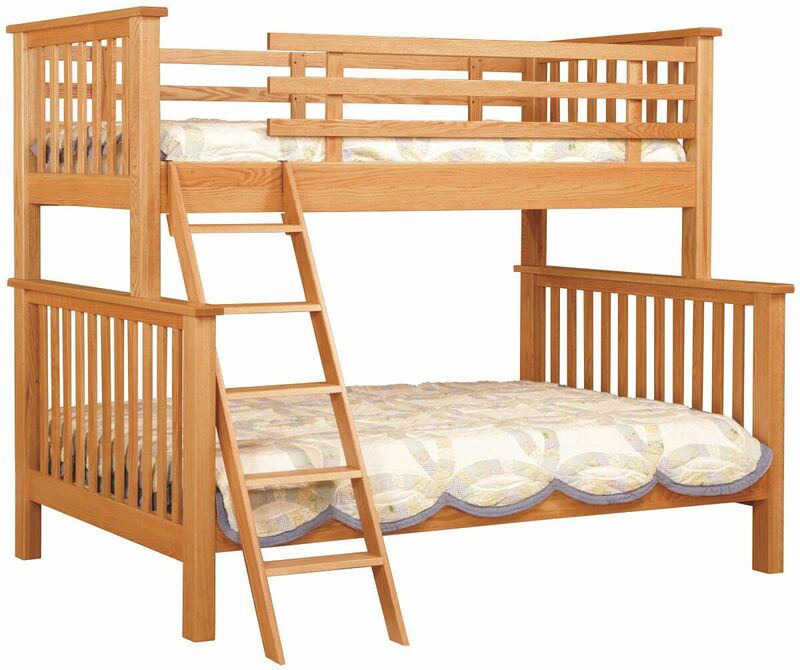 Our Luca Bunk Bed includes a safety rail for the top bunk along with a secure, wooden ladder. Both head and footboard of the bunk bed are handcrafted with wooden slats for a Mission-inspired look. The twin and full bed can be separated and used independently when necessary. Personalize the Luca Bunk Bed in Oak, Brown Maple, Rustic Cherry, Cherry, Rustic Quartersawn White Oak, or Quartersawn White Oak. Indicate your preferred selections using the options menu before adding the bunk bed to your online shopping cart. 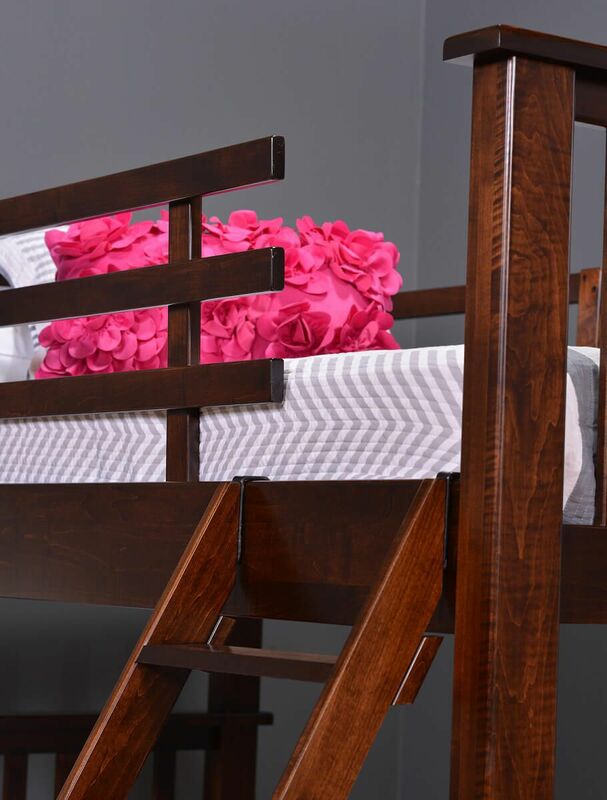 To obtain the pictured look for your own twin over full bunk bed, choose natural Oak or Brown Maple with our Cherry Mocha finish.